I spent this past winter brushing up on the latest technology and am ready to help you with any questions you may have. You may be asking yourself “Why a salt water pool?” and “What are the benefits?”. Did you know that 70% of all new pools being built today are salt water pools? Salt water pools provide refreshing water that’s more soothing to skin and hair than traditional chlorine pools and much easier on eyes and noses, and there is no unpleasant smell of chlorine. There is no need to purchase, transport, store or handle hazardous and costly chlorine chemicals, and there is less maintenance time and expenses, leaving you more time to enjoy! Salt water pools do require unique equipment and special care. 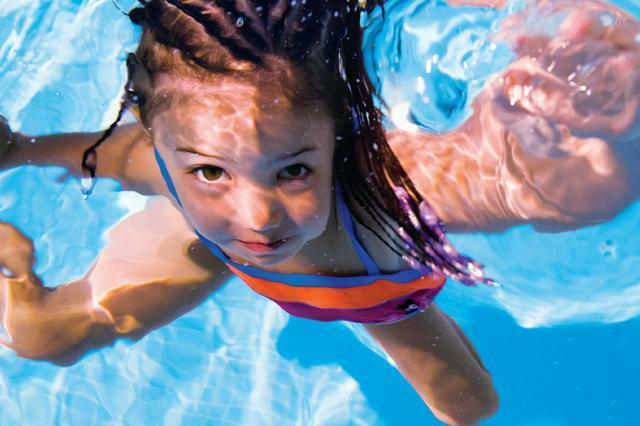 At the heart of the system is the electrolytic chlorine generator – a sanitizing system designed specifically for salt water pools. It uses a powerful cell to produce chlorine from salt and keeps sanitizer levels balanced, so the frequent addition of chlorine is no longer necessary. Salt water pools require specialized salt water pool chemicals designed to perform inside the harsh environment of the salt water generator. Chemicals designed for use in traditional chlorine pools can break down as they pass through your chlorine generator. Whether you’re considering building a pool, thinking about switching over your traditional chlorine pool, or seeking better care for your existing salt water pool I have found the perfect solution, the Pristiva® 3-Step System. This system is an advanced system for start-ups and maintenance of salt water pools. It will leave you with crystal clear, smooth water and it provides unmatched protection of pool finishes and equipment. It’s easy to use and has fewer steps and lower cost associated with operating and maintaining a pool. Pristiva contains a natural mineral called sassolite which is often used in ophthalmic solutions whenever cleansing of tired irritated eyes is required. Pristiva pool water is much closer to the natural salinity of tears so combined with sassolite, swimmers will find it remarkably non-irritating and extremely comfortable. So… go ahead and open your eyes to your new salt water pool! Please don’t hesitate to contact me with any questions you may have.